With Health & Safety Xpert, you don’t need to be a health and safety expert yourself as its built-in knowledge base determines the likely tasks and risks involved on site – just tell the software what you’re building and it does the rest, selecting all the documentation you need. 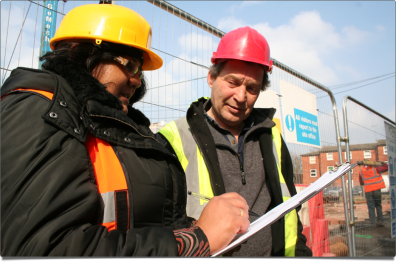 Customers and main contractors also need under CDM 2015 to see evidence of your health and safety standards - make sure you don’t lose out on work by not having your paperwork in place. Developed in partnership with leading industry health and safety professionals, Health & Safety Xpert software by HBXL will save you massive amounts of time producing your paperwork to help you comply with latest regulations. The HSE says if it’s not written down, you can’t prove that you’re doing it and Health & Safety Xpert helps you document your health and safety approach in a logical, practical and straightforward manner – quickly! 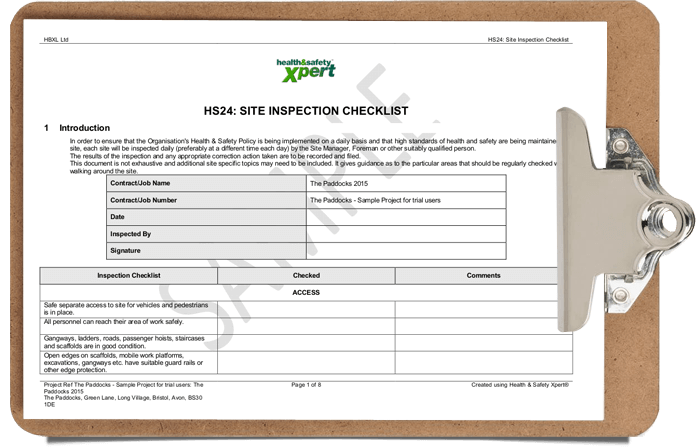 Health & Safety Xpert will help you avoid accidents or near misses by taking a more active, preventative approach to health and safety on site through the automatic production of checklists and registers including training records, equipment inspections, site inspections as well as internal health and safety audits. Customers and main contractors also need under CDM 2015 to see evidence of your health and safety standards - make sure you don’t lose out on work by not having your paperwork in place. 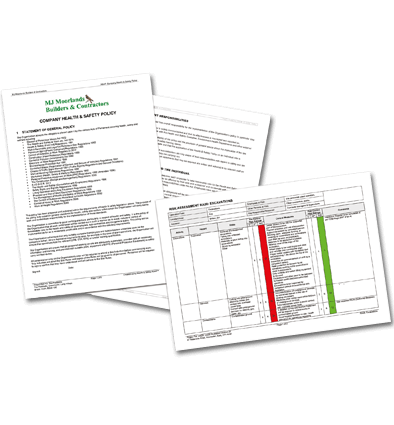 Producing your health and safety paperwork with Health & Safety Xpert is just so easy; dramatically cutting down the time it would normally take by hand, at a fraction of the cost of a health and safety consultant so you can ensure you have everything in place at tender stage. 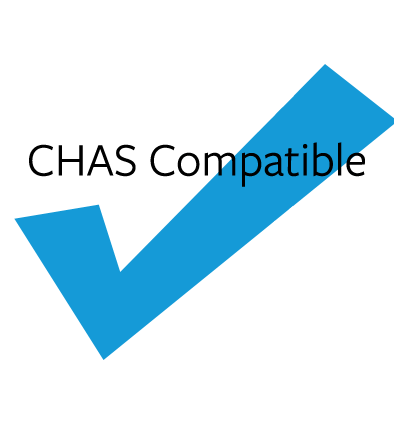 Health & Safety Xpert also helps you produce CHAS (The Contractors Health & Safety Assessment Scheme) compatible documents which are often requested at tender stage.